MOSCOW, August 27. /TASS/. The United States has been building the amount of cruise missile carriers in the Middle East for strikes against government forces in Syria after pre-planned provocation involving the use of chemical weapons in Idlib Province, Russian Defense Ministry spokesman Igor Konashenkov told the media on Monday. 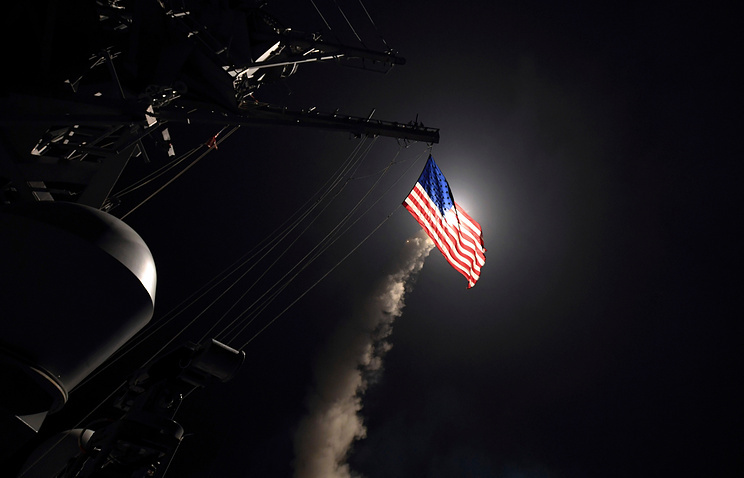 “The United States keeps building up the cruise missile carriers group in the Middle East as part of preparations for another provocation in Idlib Province to be presented as an alleged use of chemical weapons,” Konashenkov said. Hey Buddy!, I found this information for you: "US brings cruise missile carriers to Middle East for strikes against Syria — top brass". Here is the website link: https://russophile.org/us-brings-cruise-missile-carriers-to-middle-east-for-strikes-against-syria-top-brass/. Thank you.